What's New for the 2018 Nissan Versa? The Nissan Versa is an excellent value for those searching for a subcompact car with generous passenger space, plenty of room in the trunk, and a youthful, fun-to-drive spirit. If you're shopping for an affordable small car this year, here's what you need to know about this exciting entry-level option in Nissan's lineup. The Versa gets just a few minor upgrades for 2018, including intermittent variable windshield wipers, map lamps, and adjustable front-seat headrests. Also, the SL trim of the Versa has been discontinued for 2018. 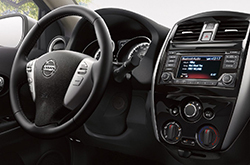 What Are Some High-Tech Features For The 2018 Nissan Versa? The 2018 Nissan Versa comes in two body styles, the sedan and the Note hatchback, each with three trims. The base model (S) comes with Bluetooth connectivity and a four-speaker stereo. Upgrade to the S Plus for cruise control and a continuously variable transmission (CVT) which operates like an automatic. If you choose the hatchback, this trim also comes with the Siri Eyes Free app. The highest trim, the SV, comes with upgraded cloth upholstery, keyless entry, power windows and locks, and a USB port. This trim can also be upgraded with a Special Edition package to add a rearview camera and a 5-inch display screen infotainment system with satellite radio. In the hatchback style, the SV trim also comes with faux suede upholstery, push-button start, fog lights, and 16-inch wheels. What Is Under the Hood? 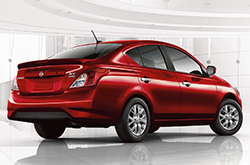 All Versa trims come with a 109-horsepower four-cylinder engine. Reviewers say it's a pleasant, reliable daily driver. 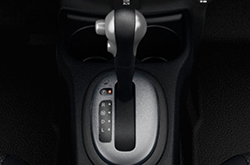 The base sedan model comes with a five-speed automatic transmission, but all other trims are equipped with the CVT. 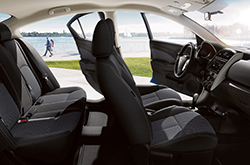 Versa drivers enjoy outstanding fuel economy: an EPA-estimated 27/36 city/highway miles per gallon with the manual transmission and 31/39 mpg with the CVT. All models are equipped with front-wheel drive. This car's small turning radius makes it the ideal choice for urban dwellers who need to get around town. The 2018 Versa has earned a four-star overall safety rating from the National Highway and Traffic Safety Administration and the highest possible ratings in four out of five categories from the Insurance Institute for Highway Safety. The Nissan Versa is the best-selling vehicle in the subcompact segment for a good reason: it has more rear passenger space and trunk space and better fuel economy than other cars in this class, all at a lower price point. It received the best in class vehicle satisfaction award from AutoPacific and was named one of the ten most affordable new cars by Kelley Blue Book. Visit us at Reliable Nissan today to experience the exceptional value of the 2018 Nissan Versa. Our friendly sales staff will be happy to arrange your test drive. Purchase prices do not include tax, title, license and $299.00 dealer transfer service fee. Prices include the listed rebates and incentives. Please verify all information. We are not responsible for typographical, technical, or misprint errors. Inventory is subject to prior sale. Contact us via phone or email for more details. *MPG Based on 2018 EPA mileage ratings. Use for comparison purposes only. Your mileage will vary depending on driving conditions, how you drive and maintain your vehicle, battery-pack age/condition, and other factors.